Simulation games are one of the most expansive and popular game genres the world over. It’s also one of the most popular on mobile because the controls work very well on touch screens. They’re easy to play, fun to engage with, and some of them can last for years. If you want the best bang for your buck, here we select one of the best simulation games for Android! Let we introduce our proposal of an app that will perfectly fit on your mobile device if you often struggle with anger and destructive urges. 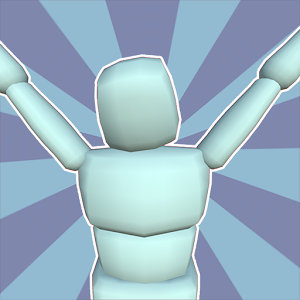 The app is called Kill the Dummy, a ragdoll game, a perfect channel for stress and anger relief and little violent way for great entertainment. This simulator game gives you the freedom to kill the artificial dude, smash hit or just explode it in order to relieve all your negative emotions, but don’t take it too for granted and remember it’s just a gameplay. You can see it from the pictures it’s a great and realistic 3D graphics game to satisfy your violent needs. Punch it using the boxing glove, beat up the dummies with the baseball sticks, claw, kick, shoot it with your gun, stab it or mutilate it with a knife or throw colorful balloons, eggs and tomato, pumpkins, watermelons, apples etc. From the player is requiring to be creative in beating the ragdoll to gain coins and money that will unlock the store to get more cool weapons which will make the game more exciting and fun. Use your dark imagination to replace the face of the ragdoll with the person you don’t like it and that could also boost the fun! Yes, it’s a quite violent game and that’s why don’t recommend for underage children or for emotionally unstable persons. If you enjoy this type of simulation games and you find that Kill the Dummy fits your taste, then download it for free on Play Store right now! Give it a shot and share your gaming experience down below!